It all started with a glue gun loaded with a polyethylene and candle wax mixture more than 30 years ago. Today, the automated process of creating shapes layer by layer from the bottom up is known as Fused Deposition Modelling (FDM) – and Stratasys is the world-leading authority on the technology. For the past decade, SYS Systems – a Stratasys platinum partner – has supplied, installed and supported the company’s full 3D-printing product range in the UK. From February 5 to 7, 2019, on stand G190 at the Southern Manufacturing and Electronics show in Hampshire, SYS Systems engineers will be giving visitors chance to discover for themselves one of the most popular FDM 3D printers ever to hit the market. 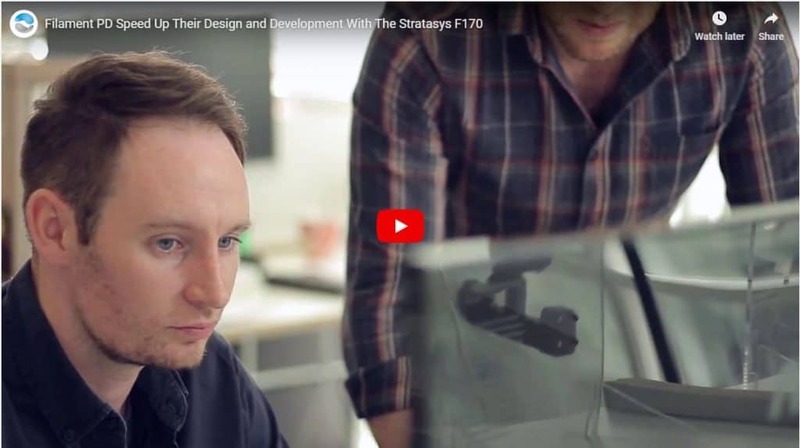 The Stratasys F170, part of the F123 series, guarantees first-class performance time after time. What makes the F123 series a best-seller? The Stratasys F123 series combines powerful FDM technology with intuitive design-to-print software, giving the most versatile, intelligent but affordable 3D-printing experience available. Offering up to four different materials with easy-to-remove soluble support matter across the F170, F270 and F370 range, users can print everything from fast, low-cost concept models to durable assemblies, making them a popular choice whatever the budget. GrabCAD software simplifies the whole print process, allowing any member of a team to utilise the programme without any specialist training. With features like detailed reporting and remote monitoring, jobs can be managed from outside the office and projects can easily be shared between individuals, streamlining workflows. Other advantages include minimal set-up, auto-calibration, fast material changeovers and the ability to import a variety of the most common CAD file formats. Once a business has discovered the benefits of an in-house 3D printer, they tell us without fail they would never be without one again. Glasgow-based design and engineering agency Filament was one such company, where rapid growth forced it to rethink its strategy for meeting increased demand. The upshot was an expansion of its additive manufacturing capabilities by trading in its desktop 3D printer for the Stratasys F170. While other 3D-printing ‘experts’ have come and gone, SYS Systems has stood the test of time – let us show you why at Southern Manufacturing.